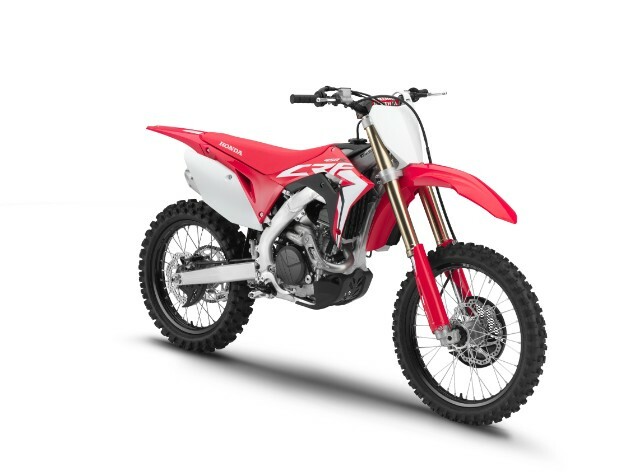 Honda has shown the entire range of new-for-2019 off-road bikes with a new CRF450L road-legal enduro version of the 450cc four-stroke motocross bike on sale for the first time. The new range is the perfect example of how technology, once reserved only for hugely expensive and limited numbers of factory-built racing bikes, can spread to bikes we can all buy as it becomes cheaper. Technology such as launch control and multiple engine maps being fitted to production motocross and enduro bikes follows them trickling down from factory bikes built for MotoGP racing, motocross world championship racing bikes and the most expensive superbikes for the road. Just as ABS braking and traction control systems worked their way down from supercars to everyday vehicles, this kind of technology gets smaller, cheaper and ABS is now even fitted to cheap scooters. Updates to the Honda off-road range include two new models and updates to three others. 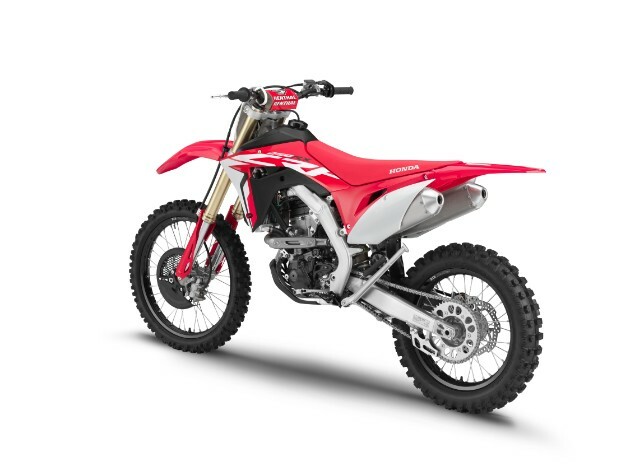 The CRF450L is a new model in the line-up but there are changes across the motocross and enduro ranges aimed at making the usual incremental improvements to performance, handling, weight loss and the introduction of new technology. 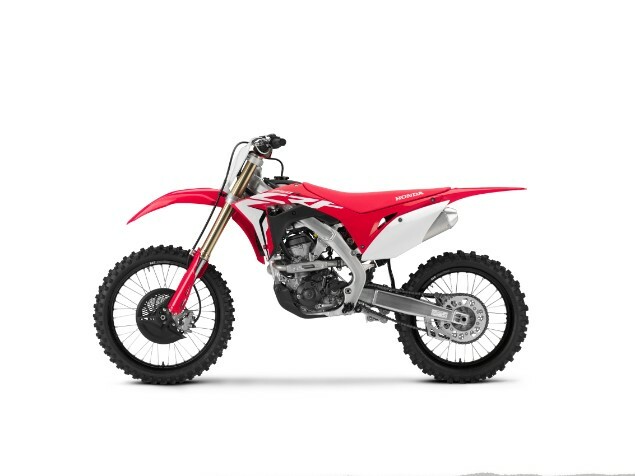 This is essentially a fully road-legal version of the flagship Honda CRF450R motocross competition bike which uses the same tough but lightweight chassis but adds road bike necessities like a sidestand, increased fuel tank volume and all LED lighting. 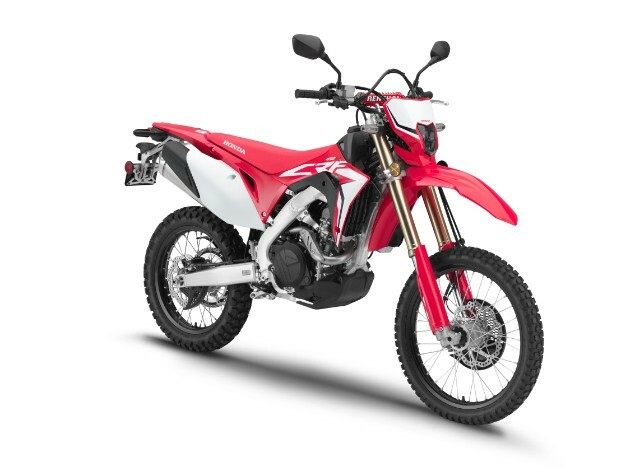 Unlike the full-on motocross bikes that needs careful and frequent servicing after racing, the CRF450L needs its first major service at around 18,500 miles. A small boost to power and torque for the top-flight competition motocross bike but it also gets three-level HRC launch control, a little bit less weight (0.9kg), revised suspension settings, new Renthal Fatbar handlebars which are also adjustable thanks to a four-way top yoke. 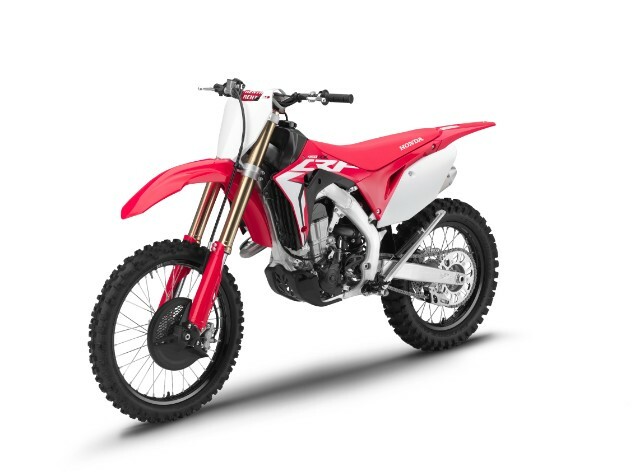 The CRF450RX is the enduro version of the CRF450R and benefits from almost all of the same upgrades for 2019 as the motocross machine. It has a larger 8.5litre fuel tank for longer range. Changes for the smaller-capacity CRF250R are limited to minor changes as the bike was completely overhauled just last year. Even so, it get a boost to low and mid-range torque thanks to a new throttle body, revised cam, intake and exhaust profiles. Three-stage HRC-developed launch control is now standard. 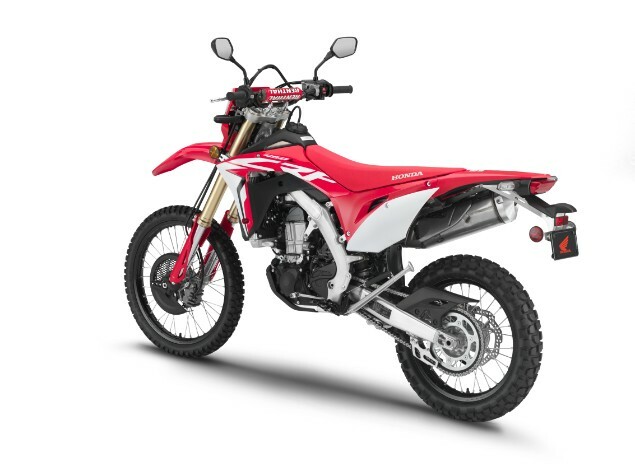 The Honda CRF250RX is another new model in the range, which follows the same design as the larger-capacity CRF450RX in offering a slightly more usable bike for longer cross country riding. It gets the same 8.5litre fuel tank, the same engine 18in diameter front wheel rather than a 21in wheel as seen on the CRF250R. Like the rest of the CRF range for 2019 it gets the HRC three stage launch control as standard.